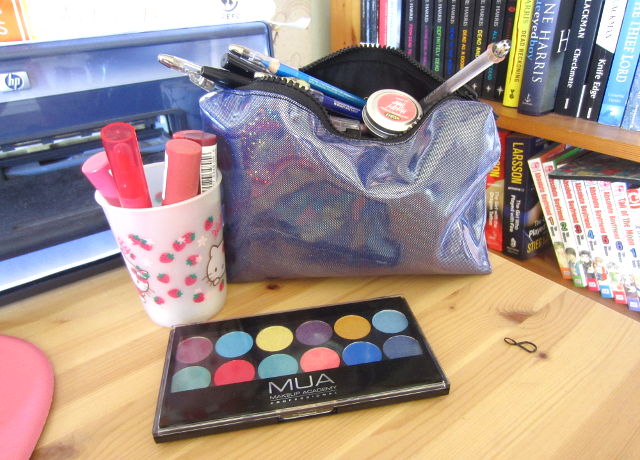 So a lot of the time bloggers use their desks as backgrounds for blog post photos, and I always find it interesting as I think they give a lot of personality to photos. Also for the professional blogger it's also a workplace, I think they say a lot about the personality of the blogger! 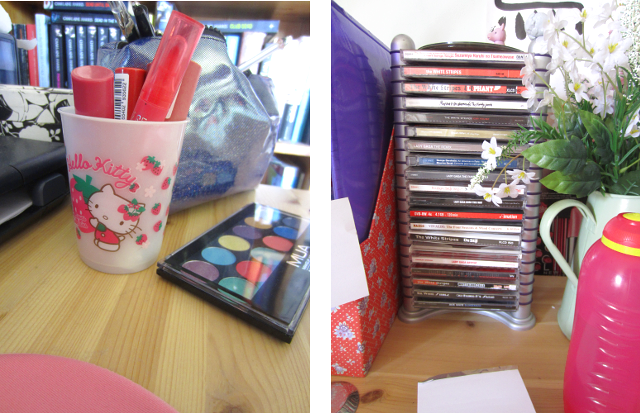 Anyways, I thought I'd share my blogging area. 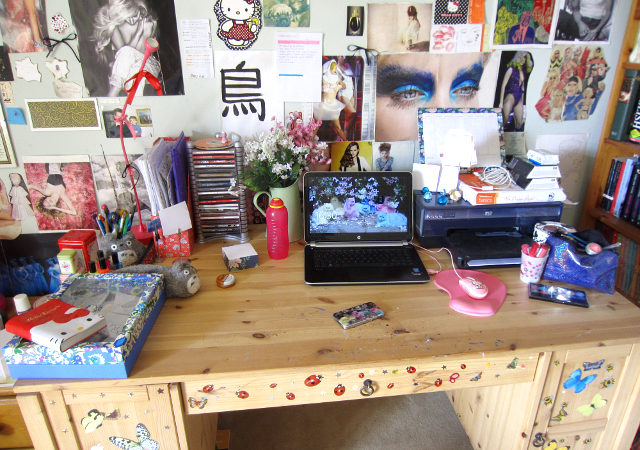 No glistening white surfaces or fresh peonies in a vase here, just my desk I've had for 10 years which is covered in stickers. 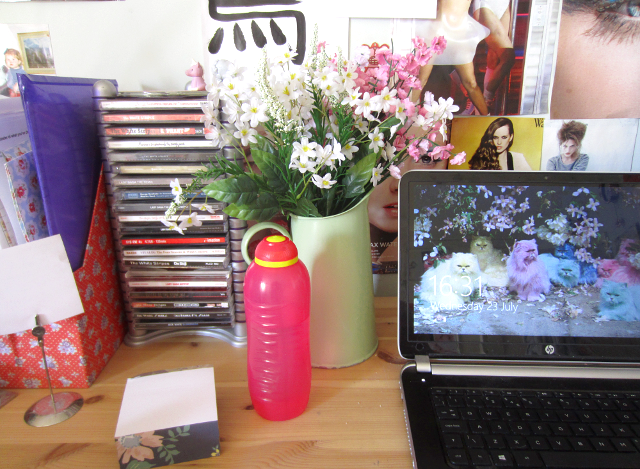 However I do think my blogging space is quite colourful! What a lovely working space! Lovely deskspace! I love the eclectic decor! 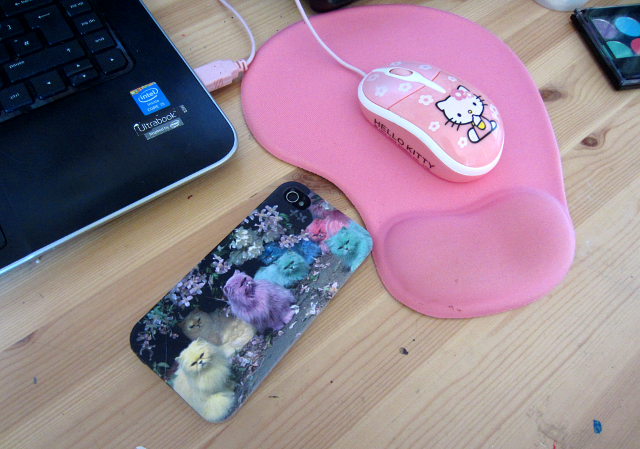 Aw what a cute workspace! So homely! This is adorable, I just love what you've done with the space. I love the background on your computer, that's perfect, such sweet kittys. My blogging space is usually my bed. I love your blogging space! It so cute! 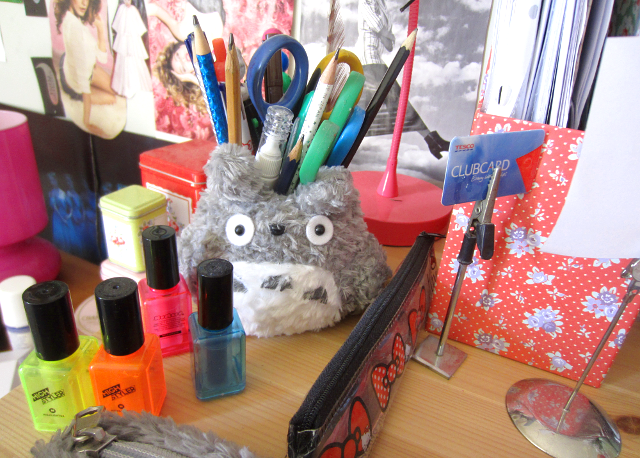 I love your desk! And I can't wait for those home inspo posts! I love your blogging space! 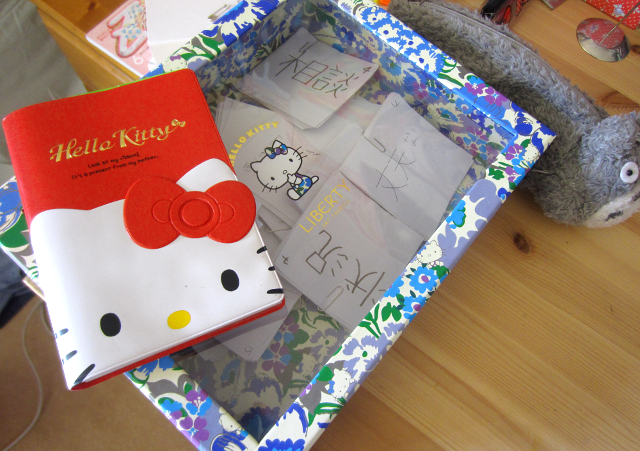 It's full of personality and cute things! Also is that Absolute Boyfriend mangas I see on your shelf :D ?